The Tourism Council of Bhutan launched its new official destination website in the wake of growing importance of digital presence in tourism. Tourism Council of Bhutan (TCB) has undertaken a major development and up-gradation of its official travel destination website with an agenda of improving information sharing among the stakeholders of the tourism industry in Bhutan and among the industry members and visitors. The TCB also expects that this major up-gradation of the destination website would improve the confidence of the stakeholders and visitors, in information being shared by the TCB regarding visiting Bhutan. TCB’s destination website will mainly act as an information portal for the potential visitors to Bhutan and is designed to remain interactive with options ranging from wishlisting events, feedback, share and subscription buttons. India’s Doklam standoff with China saw tensions on the tourism front for neighbouring countries, which included Bhutan, which has always been closer to India than its Chinese neighbours. The 73-day Doklam standoff started on June 16 when Chinese troops attempted to build a road in territory claimed by Bhutan close to the Indian border. Indian troops objected to it and stopped the Chinese from building the road. After resolving of the Doklam crisis on August 28, tensions on the tourism front started to ease. In order to put back Bhutan on the tourism map, TCB launched the new official destination website on World Tourism Day. As of May, TCB announced that 209,570 tourists, including regional tourists from India, Bangladesh and Maldives visited the country and that it recorded the highest tourist arrivals in 2016. Out of 146,797 regional tourists who visited last year, 138,201 were from India, showing an increase of about 43 pc from 97,000 travellers in 2015. On the foreign tourist arrival front, Chinese tourists dominated at 17 pc of the total visitors, followed by the United States of America at 13 pc and Japan at nine pc at the second and third position. Thailand and United Kingdom made it to the fourth and fifth inbound markets. Bhutan witnessed a remarkable growth in tourists from India following the free online entry permit system as per which Indian nationals can avail permit in advance through a travel agent or their accommodation provider. Following in this online digital success, TCB felt that an official destination website will help familiarise Bhutan as a potential tourism destination in the regional and international market as well. 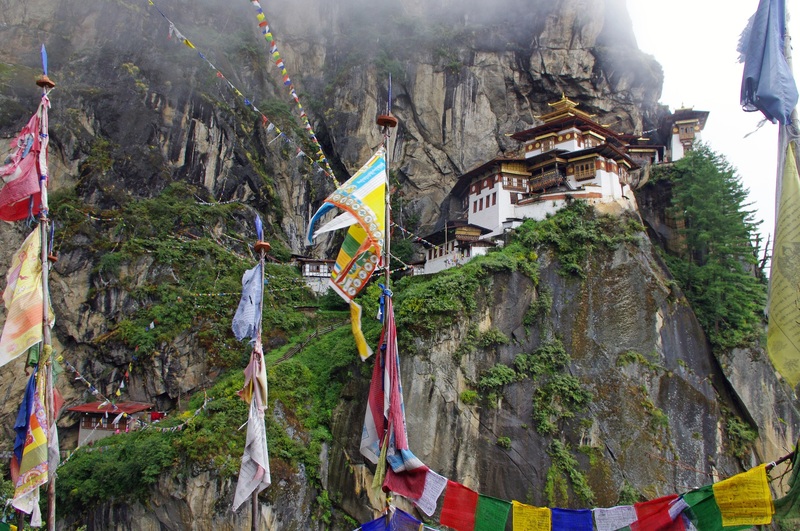 Bhutan is regarded as one of the most exclusive travel destinations in the world and enjoys a reputation for authenticity, remoteness and a well-protected cultural heritage and natural environment. can you share the lastest international tourists arrival of Bhutan.